Now appearing, for a 5-day run. Five consecutive days of a very scarce resource, so far this spring: It’s called the sun. The show is scheduled to run from Friday until Tuesday of next week. Dare I say it? A sunny weekend is just ahead. That’s right! I’m not making this up, actual sunshine for actual people like us. And here’s the crazy part; there’s a good chance you will be off work to enjoy it! People are going to ask you, so don’t forget: It’s called the sun. Obviously plants and sunshine go together. Without either we couldn’t exist. As growing things go, trees are easily the most prominent, if not the most important, part of any landscape. Our forests are often described as the ‘lungs of the earth’, due to the voluminous amounts of carbon dioxide they take in, and oxygen they give off. It only makes sense that our landscapes are therefore often planned around existing trees, or that special consideration is given to allowances for additional trees in the landscape. There are a great many trees that capture attention this time of year. I think no ‘group’ does so more than Japanese maples. For most gardens, there is no accent plant, no focal point greater than that created by Japanese maples. To be sure, Japanese maples require special consideration, when selecting a spot in your yard. 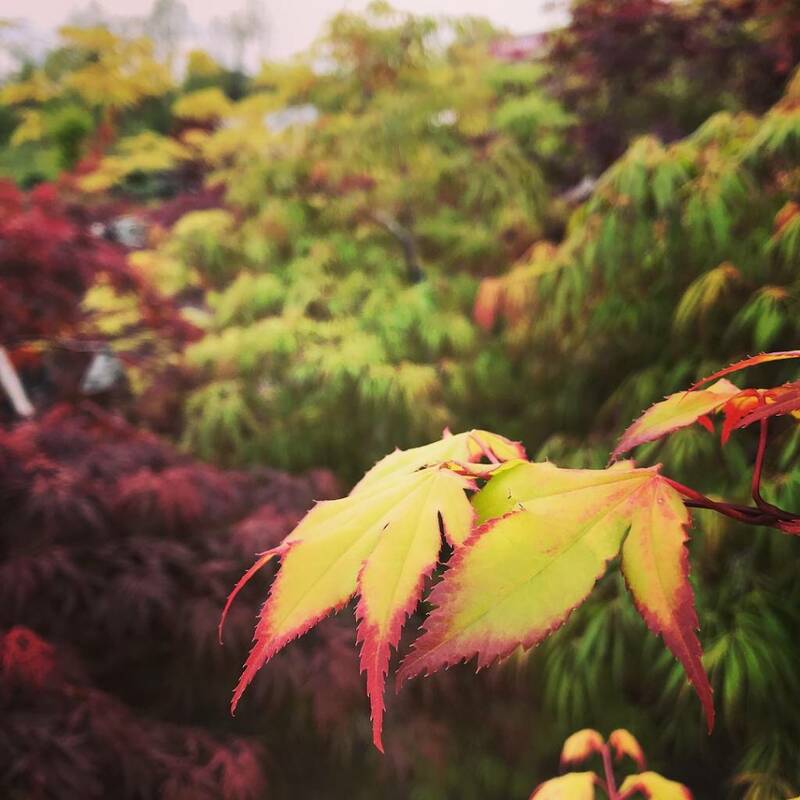 The good news about Japanese maples is that with the vast array of growth habits that are available, there is always room for one (or one more) in your garden.